There’s a lot that goes into making sure the aquarium you choose for your pet fish is the safest one possible. While volume and capacity control of the tank is important, as well as the filtration system and current strength, one of the most important things you could do is ensure the water is safe and healthy for your freshwater fish. 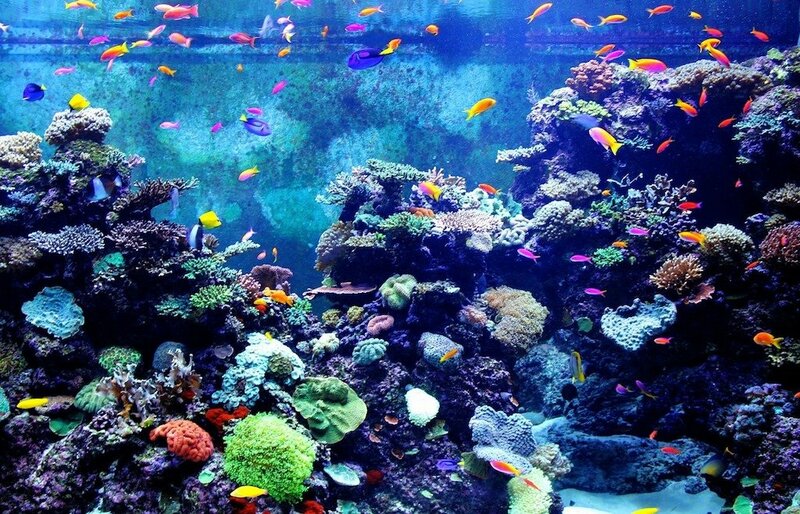 The fact of the matter is, the aquarium is a living ecosystem, small and contained, as it may seem. That means it needs to be free of pollution, like any ecosystem. The breakdown is simple: there is good bacteria and there is bad bacteria. Not unlike how certain bacteria cultures found in yogurt and some fermented health beverages can actually be helpful to you, there are bacteria you want and some you want gone completely. This good bacterium thrives in the tank and helps breakdown nitrite, fish waste, ammonia, and other hazardous materials. The trick is to ensure the environment is helpful to both the good bacteria and harmful to the bad bacteria, that you want to expel from the tank. The solution is an aquarium freshwater water test kit to make sure you regularly ensure the water in which your fish live is the healthiest and safest it can be. The desired pH level for an aquarium is 6.5 to 8.2, anything above or below this range needs to be monitored closely and rectified. An unbalanced acid ratio in the water or rapid change could mean death for your fish. You’ll also be testing for chlorine levels and want to get a 0.0 mg/L reading. For nitrite you want nothing above .5 mg/L, for ammonia nothing above .25 mg/L, and nothing more than 40mg/L for nitrate. 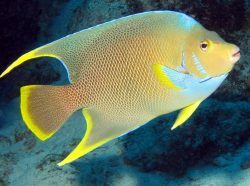 Maintain a temperature between 74 to 82 degrees Fahrenheit for tropical fish. All of this can be monitored and tested with the correct fish tank water test kit for freshwater fish and reef fish, whether they are tropical fish or coldwater fish. 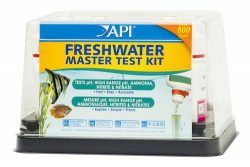 This freshwater test kit includes over 800 tests to ensure the water for your fish is as healthy as possible. It looks for pH levels, ammonia, as well as nitrate and nitrite. This is intended as a weekly test for freshwater fish. It includes a calibrated laminated color card, 4 test tubes, and a holding tray for ease of use. For those new to testing their water, it also comes with an easy to understand user guide. This is a particularly good test for beginners as it comes with virtually every test you could need for a freshwater fish tank. If you’re new to owning fish and need something that will help guide you as you’re testing your water for you freshwater fish, this is a great place to start. It’s not called the master test kit for nothing, after all. However, there are things you need to consider before implementing these tests. There are chemicals that are used in some of these tests, which means you need to dispose of the chemicals properly. The chemicals used in such tests come with warnings and you’ll want to make sure you’re not simply dumping them down the drain or into the trashcan. You’ll want to monitor to make sure you’re disposing of the chemicals properly. This is another kit that claims to be the master test kit and, like the other, that’s a pretty worthy title with everything this little kit conquers. The tests include ammonia, pH, calcium, phosphate, iron, nitrite, nitrate, KH and GH. It also comes with charts and can be used for both freshwater fish and your saltwater tropical fish. All of these goodies come in a nice compact kit that keeps everything organized and well maintained. 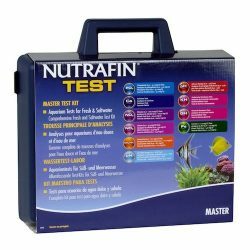 This test is good for both freshwater and saltwater fish with ten test parameters that monitors water, plant life, and any crustaceans you may have in the tank. In addition to the tests above, it also looks at iron levels and water hardness. It includes 5 glass test tubes with caps for mobility, if needed, 2 pipettes, 1 spoon, and 4 instruction booklets. That makes this another fish tank test kit that’s great for beginners who need a bit of guidance while testing water for the first time. The things to keep in mind with this test kit as the testing could take a bit of time, sometimes up to 15 minutes for the color to change completely to a final reading. While you may not be exactly crunched for time while testing the chemical levels in your water, but it could be a bit aggravating to wait for a reading. Further, the colors can sometimes be difficult to read completely so you’ll want to keep an eye out to make sure your reading is as accurate as possible. Be sure to dispose of these chemicals correctly when finished as they can be harmful if not. If you’re someone who doesn’t need a full on kit to help you out (maybe you’re no beginner to reef or freshwater aquarium test kits), there is the option of aquarium water test strips that take out a lot of the hardware when it comes to testing for simple, quick results for those who have done this sort of thing before and know what to look for. This kit still includes instructions and even has a second booklet to help you correct unsafe water conditions, should you come across them. 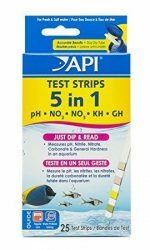 This test kit simply says “dip and read” and that’s essentially the gist of how to use aquarium test strips. It measures for pH levels, nitrite, nitrate, carbonate, and hardness. It comes with the usual charts to compare the results with and there’s moisture protection to ensure the strips aren’t contaminated before use, ensuring accurate results. This includes 25 strips in a stay-dry package. The drawback here is that these strips are meant for those who are a bit more trained, through experience, to read tests without too much instruction or hand holding. That can make these test trips sometimes hard to read when there’s borderline readings. This is another one that’s test strips only without all the bells and whistles of test tubes and dishes to help you along. 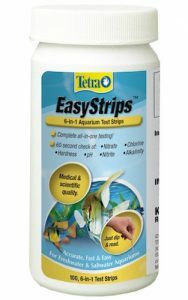 The water reaction time for these test strips is promised to be a quick 60 seconds tops and it tests for chlorine, nitrite, nitrate, hardness, alkalinity, and pH levels. This kit also promises to prevent over development of readings to ensure the most accurate results in 60 seconds or less. Just dip and read for this 6 in 1 test which comes with a 25 strip count package. While this kit isn’t completely without instructions, this is the most user lead testing kit so it’s not for beginners if you need some guidance on testing your water. That also makes this product not the best for beginners who are going to need to get used to testing and know when there’s some anomalous results that require some retesting or second opinions. So if you’re new to the world of owning fish, this isn’t the first tank water test kit for you. 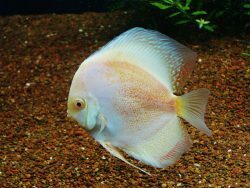 Aquarium freshwater test kits can be one of the most important purchases you can make as a fish owner and proper caretaker for your freshwater and tropical fish. The water of this ecosystem is delicate and in need of constant monitoring, that means you’ll want to get yourself the best freshwater aquarium water test kit. Ego isn’t a factor here, if you need help in determining the safety of your water, don’t hesitate to spring for the full on fish tank water kit over aquarium water test trips alone. 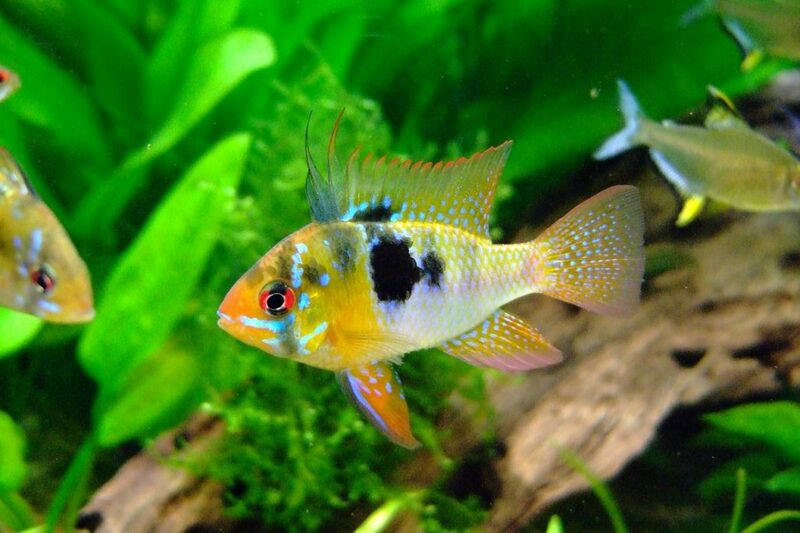 Hopefully this guide works to ensure you have the safest home for your fish with aquarium pH test kits, aquarium water hardness test kits, and toxin level test kits. Keep up the work of making the aquarium a safe and thriving environment for the fish living there. Be sure to let us know in the comments if you have any questions or which test kit you use.